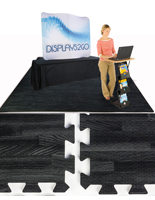 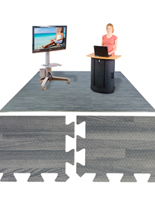 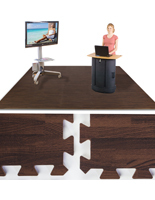 This trade show flooring case is a durable and portable storage solution for the sets of foam tiles used in your exhibition booth. 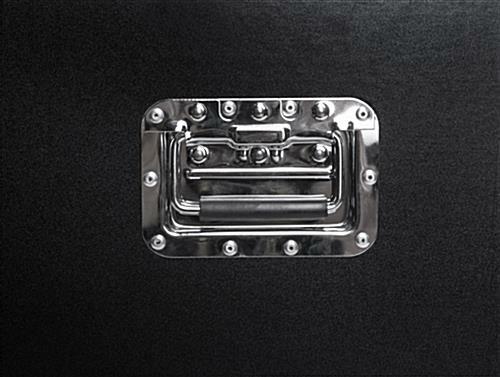 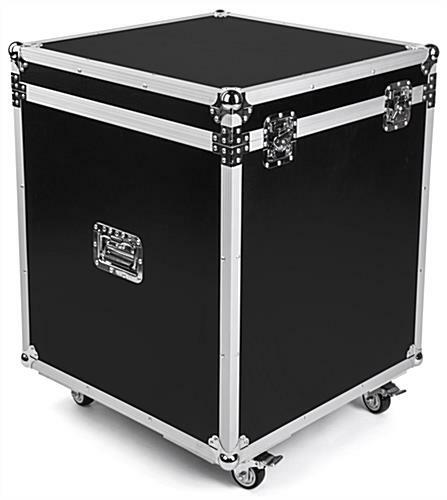 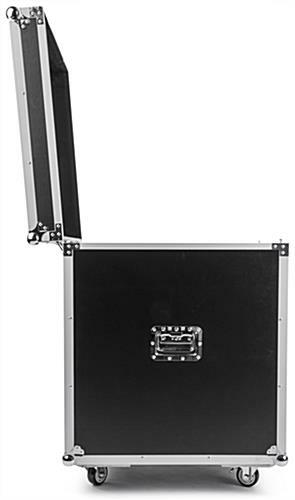 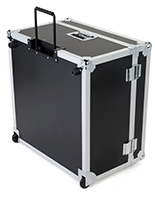 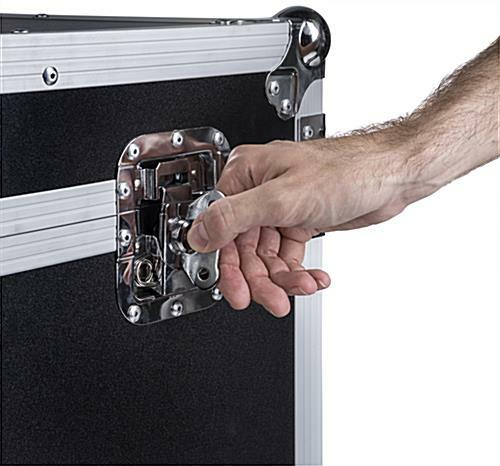 Use this trunk for keeping your essentials packed away or for moving into and out of venues. 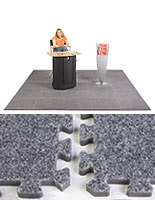 With enough space for two full sets of interlocking mats and inner padding, this spacious flooring case secures all the foam tiles needed for your booth in one safe spot. 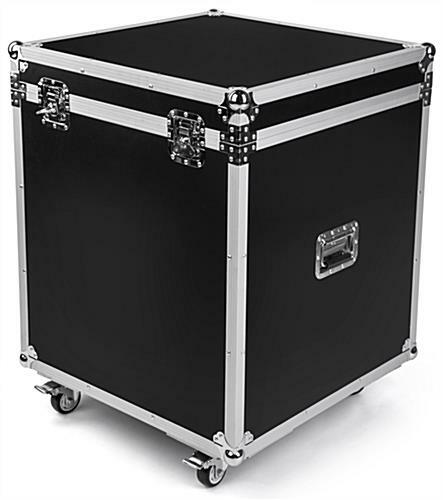 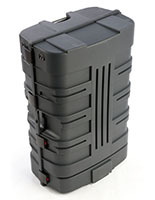 A set of four locking wheels allows you to easily roll this portable trunk from place to place, as well. 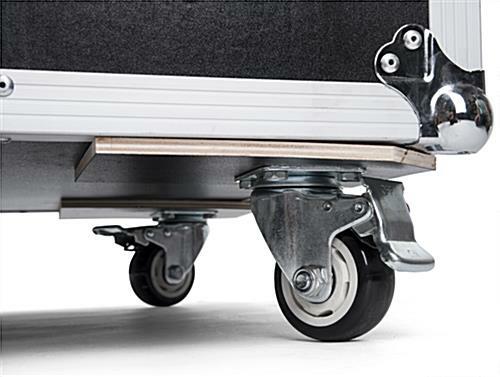 The hard, wood exterior and chromed ball corners help to prevent damage while moving. 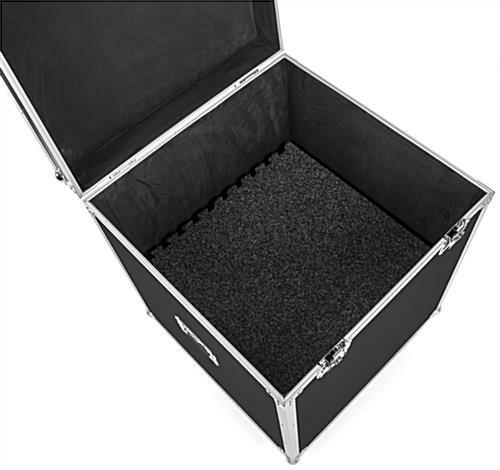 Whether used for storage or transport, this flooring case is the perfect place to keep your interlocking mats. 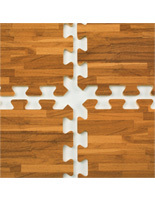 28.0" x 36.0" x 28.0"
26.3" x 30.0" x 26.3"